The Bible talks about a Rapture, where some people are suddenly taken to Heaven while others are left behind. But what if the opppsite happened- what if the dead started randomly returning? Not as ghosts or zombies, but the same way (and age) they were before they died? Harold and Lucille lost their son Jacob in a drowning accident decades ago, and they have lomg since resigned themselves to being childless in their old age. 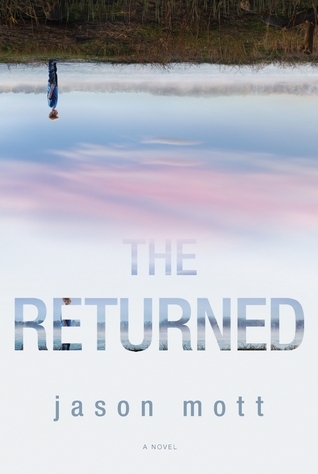 When Jacob returns to them as a 7 year old boy, he upends not their lives, their marriage, and their assumptions about the growing global phenomena of “the Returned.” While some people welcome their lost loved ones with open arms, others view them with suspicion or even hatred. The government, faced with a sudden population boom, does what governments generally do, and forces the Returned into internment camps. When the town where Harold and Lucille live turns into one big camp, Harold opts to move into the camp with Jason. Lucille does what she can for Returned who have managed to elude capture. In the camp, Harold forms an odd friendship with Agent Bellamy, a government liason running the camp. Its clear Bellamy sees himself as just carrying out orders but doing what he can to make life bearable for the Returned. Inevitably this story builds to a confrontation between the government, the faction known as the “True Living”, and the Returned, with Harold, Lucille and Jacob right in the center of it. Its pretty much what you would expect, given the sudden apparance of a population that may or may not be fully human who are treated as second class citizens, and the clash between those who want to accept them and those who want to eliminate them. But I didn’t find it particularly satifying. I was drawn to The Returned because the premise is fascinating, but Mott leaves more questions than answers. Why are people returning? Is everyone coming back, or just (it seems) those who died in the last 60 years or so? Why do some people return to their homes while others show up halfway around the globe? Will the Returned stay or all disappear just like they appeared? In the end, The Returned was what I think of as a “small story”- one in which not much action happens, when people don’t go anywhere different or do anything notable but life just unfolds. Sometimes a small story is the best story, because it provides so much opportunity for character development. Unfortunately, I neber felt like these characters reached their full potential. The strongest characters were the mismstched pair of Harold and Agent Bellamy. Its clear Harold and Lucille had a strong, loving relationship; but they spend most of the book separated. Jacob, the boy at the center of it all, remains as much a mystery at the end of the book as he was when he first reappeared. I guess ultimately I’m not disappointed the book wasn’t good; it was good- it had a very creative premise and a variety of interesting characters. I’m disappointed that the book wasn’t great; because it could’ve been, but it wasn’t quite. I hope Mott writes another book, because I’d like to see what else he can do. You might like: The Leftovers, Perotta. The Time Travelers wife, Niffinger. This entry was posted in Fiction and tagged book review, fiction, returned. Bookmark the permalink.